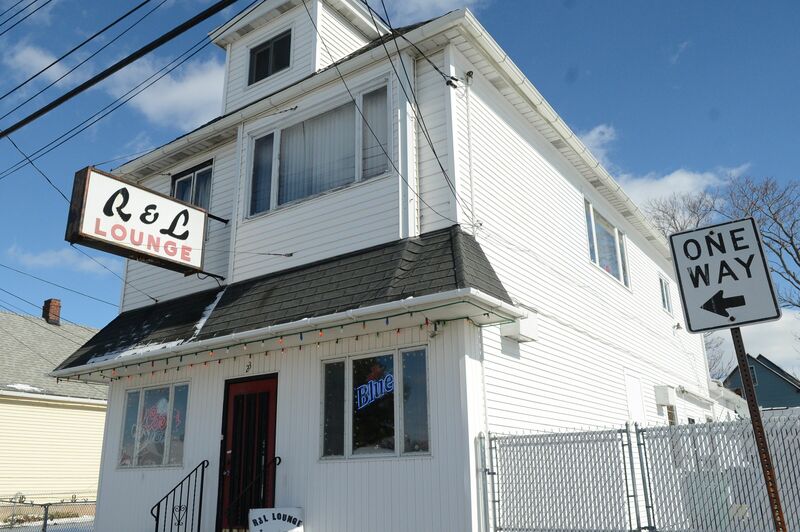 And so, in part, went the fast introduction and sunny visit with Ronnie and Lottie – the couple behind the famed R & L Lounge on Buffalo’s east side. The bar and restaurant, in the Broadway Fillmore neighborhood, is a scant fifty feet off Broadway at 23 Mills St.
Famed in equal parts for its local old-school status and its simple/verbal menu of Polish fare, R& L Lounge is a Friday fish fry destination, a site for friendly conversation, and where time slows down. You will feel like a jerk if you pull out your handheld device: this is a place to be in the moment. Ronnie and Lottie mentioned that later in the day a local television station would be by to interview them. That’s why, Lottie says, she has curled her hair, and had Ronnie put on a good sweater, so “he will look handsome on t.v.” In a flash Lottie puts on some lipstick and changes out of her flour-dusted apron for my portrait of them at a table, a photo collage blanket behind them showing off their several kids and grandkids. Opened in 1969 and married since 1957, Ronnie and Lottie are a solid team: he mans the bar while she does the prepping, cooking and serving. She adds: “I sometimes sing with them,” renowned for joining customers at table for song, and conversation. The sparkle in her blue eyes reveals her bon vivant status. “A lot of young people from downtown come in and we talk. I become their friend, because I love people – like you,” Lottie says. This visit will end with a firm hug and she will suggest that I go and get another hug from Ronnie. 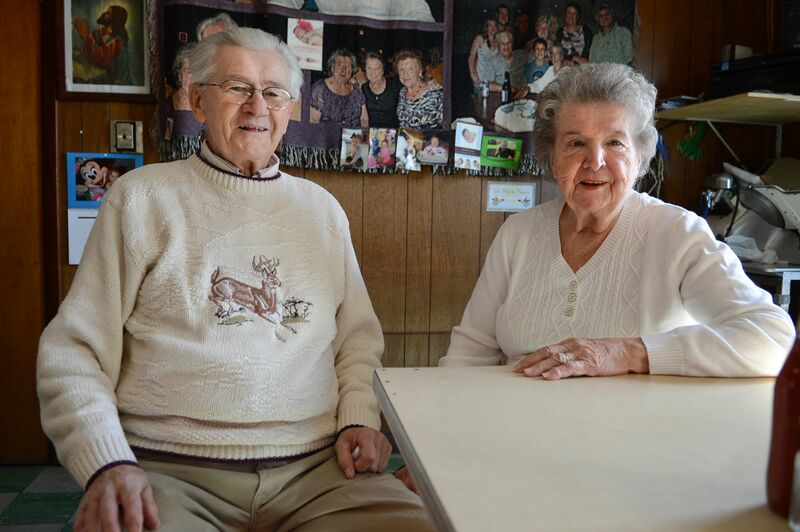 Lottie “was born in the neighborhood, near the Terminal,” while Ronnie was born in Poland, immigrating via a cousin’s sponsorship. Lottie learned the ropes of restaurant work in her mother Julia’s business at 363 Paderewski, another famed Polish business – Strusienski’s Restaurant. The R & L menu is one easily committed to memory: pierogi, fish fry (with requisite/traditional sides), hand-cut french fries (R & L goes through 50 pounds of potatoes each week), and golabki (beef-stuffed cabbage rolls simmered in a tomato broth). 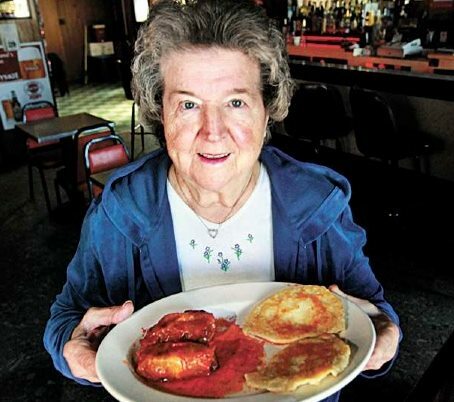 Lottie shows off dozens of bags of her pierogi in several freezers in the kitchen, “more like a crepe, mine are flat, not stuffed like other people’s.” The R & L fish fry is only fried, and never beer-battered. Lottie’s sides are scrumptious: each fish fry comes with one scoop each of her potato and macaroni salads and her cole slaw, which she likes to make on the sweet side. One of Lottie’s cousins has stopped in with friends from England and New York City and Lottie is very busy in her kitchen cooking for all of them and a few others at the bar, plus making take-out orders. 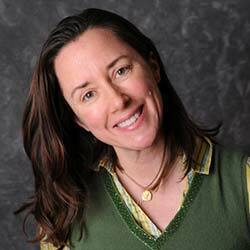 I am leaning in the doorway and talking with her as she bustles about: her kitchen is small, efficient and spotless. She finishes plating a few dinners and hands me the plates. I spring back into my waitressing self from my 20’s and head to the tables. Then I am back in the kitchen, where food is cooking and advice is dispensing.